A lovely child performance anchors the satisfying family drama of Gifted. If you're going to make a movie with a cute kid, you're going to make it easy for a lot of people to love your movie. You're also going to make it easy for a lot of people to hate it. Film history is packed with precociously adorable children who made a splash, from Shirley Temple and Jackie Cooper to Drew Barrymore and Macaulay Culkin, and they've proven a reliable way to give viewers—as the kids say these days—all the feels. But the moppet-based movie also is fraught with peril. What if "cute" crosses the line into "irritating?" What if the story builds so much around the youngster that it's hard to find anything for grown-ups? By making a young character preternaturally adult-like, are you avoiding the work of figuring out what a kid is really like? Gifted, directed by Marc Webb from a script by Tom Flynn, manages to dodge most of the pitfalls, largely by finding the right kid for the job. 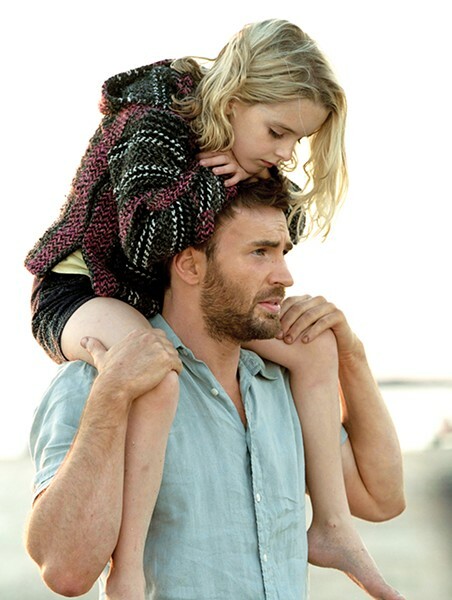 Mckenna Grace plays Mary Adler, a 7-year-old math prodigy who has been raised by her uncle, Frank (Chris Evans), since Mary's mother—herself a brilliant mathematician—committed suicide when Mary was an infant. Frank wants to find a way for Mary to be a normal kid, sending her to school for the first time in first grade, but Mary struggles to fit in with her chronological peers. And when Frank's mother Evelyn (Lindsay Duncan) appears, meeting her granddaughter for the first time and insisting that she get the advanced tutoring to nurture her gifts, it appears that Frank might have to fight even harder to keep her in that "normal" life. If there's a major sticking point in Gifted, it's in the character of Evelyn, and her role as the film's primary antagonist. A haughty academia-trained Brit who disdains the life chosen by Frank—he repairs boat engines in south Florida—she feels like a daytime soap-opera version of the manipulative doyenne, with her acidic asides about Frank's working-class living conditions. There's some potentially intriguing psychology tangled up in the character, whose own aspirations in scholarship were sidetracked by family life, which could have made for a great thorny dynamic between Frank and Evelyn. Instead, Flynn's script seems mostly interested in creating a melodramatic villain whose awfulness is exaggerated even by the way she treats pets. It's fortunate, then, that Evans is around to provide a more earthbound balance in that relationship. The erstwhile Captain America deserves more credit for the soulfulness of his acting, and Gifted gives him opportunities both dramatic and comedic to wrestle with Frank's uncertainty over whether he can do right by Mary. Frank's relationship with Mary's first-grade teacher (Jenny Slate) might be of the purely functional variety, but there's an easy chemistry between them that makes it more of a shame when Slate all but disappears from the film at around the halfway mark. Evans, however, continues to provide the steadying influence that keeps Gifted feeling real, even as the narrative comes to focus on a courtroom custody battle with all of the accompanying "and isn't it true?" moments. The real star here, however, is Mckenna Grace, who does everything right with a role that's not an easy sell. Mary could come off as obnoxiously un-kid-like, particularly in the early scenes where she struggles to fit into her new classroom, and Webb does play a couple of these moments for broad punch lines. But Grace brings a radiant no-front-teeth smile to the performance, and surprisingly sharp comedic timing. There's just as much conviction in her giddy reaction to visiting a hospital maternity ward as there is in her wrenching despair at the prospect of being taken away from Frank. Flynn's script isn't really prepared to dig into the potential life consequences of being curried for "specialness," and Webb's frequent use of jittery hand-held camerawork aims for a street-level grittiness that's just not there in the material. As family drama, on the other hand, Gifted delivers a satisfying emotional payoff. That's all thanks to a convincing interplay between Evans and Grace, and the kind of child performance that makes you want nothing but the best for her, too.